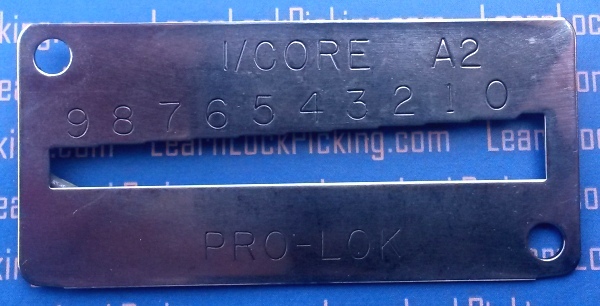 Key Decoder or key gauge for Best/Falcon A2 I-Core keys. Quickly read depths of cut on the most common commercial interchangable core keys. SKU: I-cDecoder. Category: Locksmith's Tools. Brands: Pro-Lok. 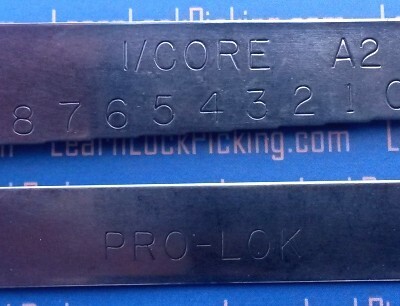 Key Decoder or key gauge for Best/Falcon and other small format interchangeable core keys. Top quality stainless steel provides strength and durability. Designed with “Sure Stop” steps, each increment reflects factory specifications & tolerances. Decode cut depths on the most popular I/C keys using the standard Best A2 increments. To use key decoder, simply insert the key through the slot in the decoder. Slide key until it is stopped at one of the numbered steps. 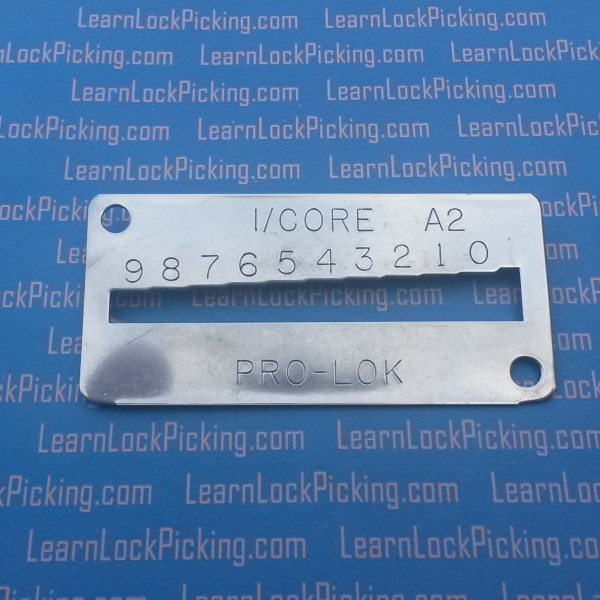 The number you can read over the key is the cut depth for that key.